A month is a short time in Transport Politics. Whilst today’s Transport Committee is set to look at Crossrail 2 (a topic to which John Bull will be turning his eye shortly), last month’s meeting remains important to cover. The attendees from TfL were the Commissioner, Sir Peter Hendy, and Peter Anderson, who chairs the Finance and Policy Committee and is also a TfL Board Member. His resume is found here . It was evident from his later comments that he has a very clear recognition of the importance of effective transport in supporting and bolstering development and employment. This is clearly borne of his experience at Canary Wharf. The Mayor’s cycling vision and related issues. In this first article we will look at the first two points on that list. The meeting opened with the Chair of the Committee, Caroline Pidgeon, asking about Board scrutiny of the TfL capital programme via Finance and Policy Committee. She also asked how have things changed since the establishment of IIPAG (Independent Investment and Programme Advisory Group). Peter Anderson summarised the position by saying there is now better interaction with management and an improved flow of information to the Board. Two key events have helped push forward the improved interaction and better level of information. Firstly, following the election of Boris Johnson in 2008 the new Mayor and TfL Board undertook a thorough review of business planning process. This helped to educate the newly appointed Board members about TfL funding and priorities. A funding shortfall was identified and cuts were implemented to reflect the shortfall. Secondly, the collapse of the PPP Contracts also increased the level of scrutiny of the capital investment programme in those areas. Mr Anderson felt the inherited arrangements “were designed to be opaque”. A much more transparent and efficient position has now been achieved on the former BCV, SSL and JNP investment programmes. This has meant the cancellation of some works and reprioritisation of others. On the subject of IIPAG Mr Anderson said he was a big supporter of their involvement with TfL. Following the collapse of the PPP, IIPAG was the DfT and Treasury’s idea to provide external 3rd party scrutiny of the capital programme. Mr Anderson continued by saying there had been some initial issues but these have been resolved now the relationship has “bedded down” and people are familiar with what is expected of them. IIPAG’s involvement has given the Board extra reassurance about the planning and performance of TfL’s projects. This additional oversight resource has allowed the governance meetings to be restructured to give differing levels of oversight – the new Projects Panel now does the detailed scrutiny. Previously the Finance and Policy meeting had dealt with a lot of detail rather than strategy and more fundamental issues. The earlier review of project detail at the Projects Panel has removed most of the burden from the Finance and Policy Committee. The revised meeting structure gives more time for the Board to consider issues informally and raise concerns or thoughts with management and the Mayor to guide the business. Mr Anderson said this mirrors practice of “non execs” on private sector boards. Caroline Pidgeon expressed concern about transparency of project costs and also the effectiveness of IIPAG in getting TfL “to do the right thing,” reflecting a long standing perception with the politicians that IIPAG was not functioning as expected. Ms Pidgeon continued by asking for examples of “tension” between IIPAG and TfL. Mr Anderson did not provide any examples other than repeating the earlier “bedding down” remark. On the issue of cost transparency Mr Anderson said the benchmarking process had helped in this area. There was now a much better understanding of “what things should cost” rather than a cost for project work being presented and assumed to be correct. This means the challenge for Project Managers and Sponsors is to demonstrate they have properly evaluated options and alternatives ways of delivering the stated outcome with a full awareness of the related costs and risks. The meeting then switched to discussing “Value for Money” (VFM) – Richard Tracey asked Peter Anderson how the Finance and Policy Committee assure themselves about the VFM of TfL’s operations. Mr Anderson said the Board were not directly involved in “big ticket” items like staffing and electricity procurement where there are good processes and forward planning to contain costs and ensure VFM and an efficient approach. The Board is, however, concentrating on the efficiency of maintenance work and also the effectiveness of TfL’s procurement approach. There is a clear cross link here to the benchmarking work referred to earlier. Mr Tracey, unsurprisingly, was concerned that the Board was not looking at staffing levels in the organisation. This stems from the oft repeated assertions about TfL being overstaffed. Mr Tracey then raised the issue of “shared services” between TfL and the rest of the GLA family and the fact that the Assembly had expressed concern that TfL have been “resistant” about sharing services. Mr Anderson said he was not aware of the Assembly’s criticism on this issue. By way of trying to deflect this apparent criticism Mr Anderson cited recent work by Surface Transport to increase efficiency in shared procurement with the London Boroughs for highway works and also work on improving TfL’s third party revenue flows. Mr Anderson said TfL have a very valuable property portfolio but it was early days in developing schemes to exploit the 3rd party opportunities. The separate Assembly discussion on this matter, which Mr Tracey made reference to, has been covered by John Bull in a recent LR article. Continuing on his VFM theme Mr Tracey asked Sir Peter about publication of internal audit reports to the London Assembly and the wider public. Sir Peter said the TfL Audit Committee now met in public and it reviewed internal and external audit reports. He expressed sorrow that “no one attended the Audit Committee meetings”. Sir Peter questioned whether publication would be helpful given many audit reports will cover commercially confidential contracts. He suggested that the Transport Committee invited the Head of the Audit Committee to discuss the effectiveness of TfL’s internal and statutory controls. Mr Tracey then complained about why VFM had only featured in one of 53 audit reports and was not expressly covered by the Audit process. Sir Peter said it was pointless given IIPAG’s scrutiny of projects prior to approval and then also subsequent to completion where VFM was expressly considered. He said it would be “pointless duplication” to have the audit process repeat what IIPAG was already doing. Roger Evans then picked up the mantle about governance and scrutiny, asking Peter Anderson if the TfL Board was given sufficient detail to know what is going on in the organisation. Mr Anderson said things have improved and that without the requisite detail the Board will not give its approval for projects or initiatives. The project process for LU and Rail is better and there is earlier awareness of projects at the Board. He said there was presently some “learning curve effect” with Surface Transport as they now have a much larger capital investment programme and more projects to take forward that require scrutiny and oversight. Mr Evans then asked if there had been any themes to why papers might not have approved by the Board. Mr Anderson says there is now a wider coverage of issues, alternatives and procurement options rather than just presenting a single “fait accompli” case for final approval. Mr Evans then asked “Have you achieved “perfection” in project submissions?” Mr Anderson’s response was “no” and he cited the management of project contingency and also the quantum of contingency as an issue. The management of project contingency is now centralised rather than being a percentage added to each project’s authority. Project Managers and Sponsors must now request and justify the use of and release of contingency funds. Mr Anderson said the use of contingency now tends to relate to contract disputes rather than poor planning or untimely delivery leading to cost overruns. Mr Evans then turned his attention to Approval Papers presented to the Board. He was concerned about the level of “private and confidential” papers at the Board. The apparent subtext here was that TfL were not being sufficiently transparent in its dealings with the Assembly and the public. Sir Peter pointedly remarked that the committee wanted transparency so the latest failings of TfL could be seized upon and then trumpeted round City Hall by politicians. If anyone has looked at the published agenda and papers for TfL Board Papers they will have noted that meetings are held in two sections – public and closed – and similarly papers released on the TfL website will almost always exclude all commercial parameters relating to costs, risks and timescales. These are separately published only to Board members. Sir Peter replied by saying that recent legislative changes have caused a change. Mr Evans then tried to describe this as an improvement (given it was a Tory led initiative). Sir Peter challenged that by saying much of the private discussion was on commercial matters which are better done in private than in public. He continued saying public negotiation with suppliers was ineffective which is why the Board has to be attentive to the balance of private discussion vs. the needs of transparency. He then criticised the PPP regime with its concentration of “Lawyers and Accountants” rather than project people. He said that TfL had got rid of 400 such people from Tube Lines. Sir Peter said private sector people who joined TfL were “astonished” about the TfL approval processes being so complex and involved. He said the complexity was justified because public money was being spent. He concluded by saying that he keeps the matter under review and whether there is a correct balance between what is disclosed and the level of supporting detail in regularly published reports. He also tries to look at the reports as a “layman” to see if they were covered the salient points and related to the things that the public would be aware of. The TfL Investment Programme – objectives and will TfL get the cash it needs? The meeting then considered the development and funding of the TfL Investment Programme. Caroline Pidgeon opened the questioning by asking where there had been a shift in allocating funding for non transport issues e.g. to support development, housing, job creation rather than just transport needs and did Peter Anderson support this apparent change? Peter Anderson said he does support the use of wider objectives. He said the background to the Investment Programme was dealing with the accumulated investment backlog. Several major projects had been completed and were now delivering improved services and more capacity (e.g. Victoria and Jubilee Line upgrades). The additional investment to support operations during the 2012 Games have also helped add important capacity and capability to parts of the transport network. Interestingly Mr Anderson said the feeling now was that the transport network and associated investment was now relatively stable so that TfL could start to consider how its investments could support wider objectives. He said TfL had to get out of a mode of working where it “had loads of old stuff to fix” and into one of being supportive of wider objectives like regeneration, job creation etc. Mr Anderson said transport and continued investment in it was essential to keep London developing as “London barely functions” with its existing infrastructure. Crossrail and Northern Line extensions were seen as very important to giving longer term value and investment. Mr Anderson made a crucial observation that the benefits / impact of both direct and related investment were seriously under-estimated when you compare the numbers used to approve the expenditure and then what happened in the 30-40 year period following completion of a major scheme. Mr Anderson also praised TfL’s planning process. Caroline Pidgeon asked whether TfL had the required skills and capacity to deliver the investment programme. Peter Anderson said yes but TfL needed more and also needs to have appropriate remuneration and skill development to attract the right people. He observed that new, younger people joining TfL were to be very good and brought a new mindset to the organisation. He also expressed a preference for TfL undertaking activities “in house” rather than outsourcing activities. These are all interesting observations as to the likely future of TfL given they are made from someone with a strong private sector ethos. Val Shawcross asked how discussions were proceeding on the required government funding for the future TfL investment programme. She expressed concerns about an apparent lack of activity and no visible “lobbying” in support of the case for more and sustained investment. Sir Peter explained that the Comprehensive Spending Review (CRS) will only cover 1 year and he identified the 2015 general election as the reason for this short term funding horizon. He confirmed that TfL were lobbying hard to secure a longer term programme to ensure committed schemes can complete. There was a genuine concern on his part that funding reductions might inhibit TfL’s ability to fund committed schemes like the Sub Surface Upgrade and be able to pay contractors for the work they are doing (e.g. the supply of new trains and the resignalling). He continued saying that longer term, consistent funding delivers significant benefits in terms of procurement and general efficiency. He said that the DfT had already given the usual “Gypsy’s Warning” about reduced funding for TfL due to tougher government spending cuts on ring fenced budgets. TfL’s grant from the DfT is a significant element of its budget and therefore a prime target for departmental reductions. Sir Peter said that 50% of the grant is spent on capital works but the DfT actually view the entire grant to TfL as “revenue” and not capital. This creates a further problem because revenue expenditure is the traditional area for cuts because it is not spent on infrastructure! Ironically at the end of the process the spending is reclassified by the DfT as capital (where it was spent on investment work). The Mayor and TfL are lobbying hard to get this view & classification changed. Other effort is being concentrated on demonstrating the benefits and economic contribution of TfL’s spending. Sir Peter said an updated justification has been completed and will be shared with the Committee for their awareness and support. He believes there is a compelling case for TfL’s funding. A strong positive element of the case is that money can be spent quickly now rather than on “headline” schemes that take a decade to get through the planning process. Sir Peter referred to the proposal to bypass Stonehenge and said it was unlikely that any substantive money could be spent within 10 years. He said TfL’s spending supports 40-50,000 jobs across the UK. He finished by saying that robust engagement with the Government is expected. He thinks the Government are listening to the argument about a longer term budget settlement which is adequate for the transport needs. He stressed that any settlement has to be a consistent amount each year (about £1.8bn per annum) rather than peaks and troughs as has happened in the past. Val Shawcross asked about the likelihood of funding for the Piccadilly & Bakerloo Line upgrades and completion of S Stock deliveries. Sir Peter said the primary emphasis was to ensure existing programmes were funded to completion. He added that it would be a failure not to get funding to allow the Deep Tube programme to commence in earnest to allow later line upgrades to proceed at a sensible pace. Again we get the link back to sustain and adequate funding being crucial to the future of London’s transport system. Val Shawcross expressed further concern about the return to single year (annualised) funding. Sir Peter said annualised funding had been the case since the 1940s. Longer term funding provisions have existed but there has always been the proviso that the Secretary of State can change funding at any time. Sir Peter contrasted London’s situation with the most recent funding settlement for Paris which lasts until 2030 and will allow a large, progressive investment programme which includes an automated orbital metro system, metro extensions, RER extensions and RER refurbishment. He is confident that a multiyear settlement will be achieved with Government. He quoted the example of sub surface resignalling contract which is expected to deliver the full scheme well below budget because there has been a stable environment in which to plan the work and then implement it. Sir Peter was much more concerned about the actual level of annual funding than it being set for a longer term. Joanne McCartney asked about the future of the Piccadilly Line upgrade and what would happen to reliability on the line if the upgrade was not forthcoming and trains replaced. Sir Peter said it was pretty simple – 40 year old trains fall to bits and 50 year old ones just wear out due to the long period of use. He said the common sense approach is to replace assets on a consistent basis. An interesting observation was made by Sir Peter who said that major schemes in the past had caused regular asset replacement to stop / be paused. This is a new theme from TfL in its battle to secure a “steady state” level of funding with any large scale new projects being funded through additional monies on top of the steady state expenditure. Although not explicitly stated, this applies most to London Underground given its huge asset base and asset backlog which is being steadily removed. Surface transport is just beginning to address its asset backlog issues on the road network. Jennette Arnold said that she wanted some “positive answers” about the electrification of the Barking – Gospel Oak line. She added that she wanted to raise concerns about engagement with user groups on the line. This then set the scene for one of the more pointed exchanges at a Transport Committee meeting that this author has seen for quite a time. Sir Peter confirmed that approval had been expected in the Autumn Statement. He did not say why it had not been granted. He said the GRIP stage 3 work by Network Rail was continuing and would conclude by the Autumn “at the latest”. This raises an immediate concern about how an updated case for the project could be considered for the Comprehensive Spending Review due in June 2013. Sir Peter repeated the long held TfL position that the £90m estimated cost is an over estimate and probably includes compensation to operators that “wouldn’t be needed”. It would, of course, be in TfL’s remit to waive such compensation as they take the revenue risk under the concession arrangement. Sir Peter concluded by saying that new money was needed to allow the project to proceed. There was no benefit in “re-announcing” old, existing money. He said that TfL and the Mayor were working very hard and were fully committed to taking the project forward. Jennette Arnold asked what was being done to alleviate overcrowding. Sir Peter said nothing more can be done beyond running the engineering spare (which is already scheduled). He confirmed that electrification would bring trains with a minimum of 4 coaches. This is a step forward from the previous stance of 3 car EMUs being likely and 4 cars merely a possibility. We then reached the more “pointed” part of the discussion. Jennette Arnold stated there is “Barking Gospel Oak electrification fatigue” within TfL. She said the line’s user group were not getting responses and engagement from TfL and LOROL. She said this was not acceptable. Sir Peter responded by stating an individual’s name (which is not repeated here) and was critical of the style of engagement that has been undertaken and “rudeness”. He said everyone “is on the same side” and that there was no point in criticising TfL about “a lack of effort” given how much work has been put in by TfL to try to get the scheme going. At this point it was evident that Jennette Arnold was somewhat taken aback by Sir Peter’s reply. She said would never condone “rudeness” and would expect an apology. However she added that she was “concerned about a dismissive attitude from Sir Peter”. However Sir Peter was not backing down and continued by saying that criticism from users is “not helpful” when it is not true and that it can cause the DfT to believe there is a lack of a consistent approach and wide ranging support for the electrification project. Jennette Arnold then adopted the “robust tone” which can be her trademark and demanded that Sir Peter ensure that letters were responded to and that LOROL and TfL Rail responded to the user group and other comments from users on the line. Sir Peter said he would investigate the claims but was clearly sceptical that letters to his office had not been answered. He repeated his position that the user group’s attitude was not helpful. We suspect that readers of LR might also be suffering from “Barking Gospel Oak electrification fatigue.” Let us hope that clearly frayed nerves are smoothed and that everyone’s efforts result in a successful outcome. The discussion then turned to the Northern Line extension to Battersea. Richard Tracey asked if funding for the project was secure. Sir Peter said work is well underway to finalise the required agreements and to get the work underway. He was hopeful of a successful conclusion to the agreements in the near future. Mr Tracey then picked up on the earlier remarks about Paris’s 30 year settlement and reminded everyone that Paris has driverless trains. Sir Peter deftly replied by saying there was little point in fixating on “driverless” trains when what you needed was money to actually buy *any* trains including paying for those you’ve already ordered. He then clarified that future trains would not feature a cab but did not say trains would be driverless. Mr Tracey then switched the discussion to Crossrail 2 and funding for that to proceed “to the benefit of my constituents”. Sir Peter repeated what is the current standard response that there is a compelling case for Crossrail 2 on transport and wider grounds. 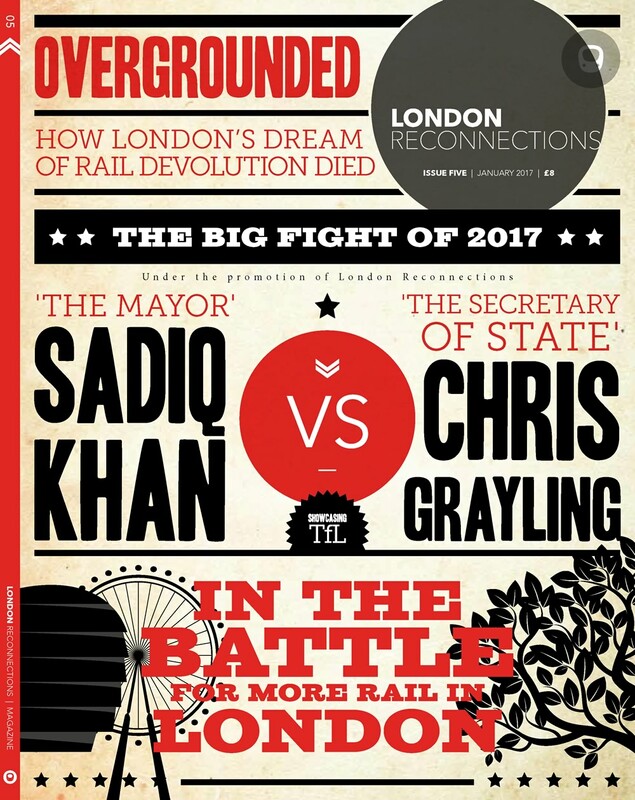 He would like to take the project forward but he would have to be assured that Crossrail 2 was funded separately and not to the exclusion of continued stable funding for TfL’s rolling asset replacement programmes. This concern about funding fluctuations and avoiding the mistakes of the past seems to be a new theme from TfL in the face of a (possible) return to annualised funding and all of the associated uncertainties and inefficiencies.